We have some absolutely adorable Easy KIDS VALENTINE CARDS for you to make with your children. Find 15 Valentines day cards for kids that are fun and sure to be a hit at your Valentine Parties. We love Valentine’s Day! All the pink and red and hearts galore! What’s not to like? It is so much fun to make homemade Valentine’s Cards and we have lots of really cute ideas. There is something for everyone. There are so many cute options for kids of all ages. 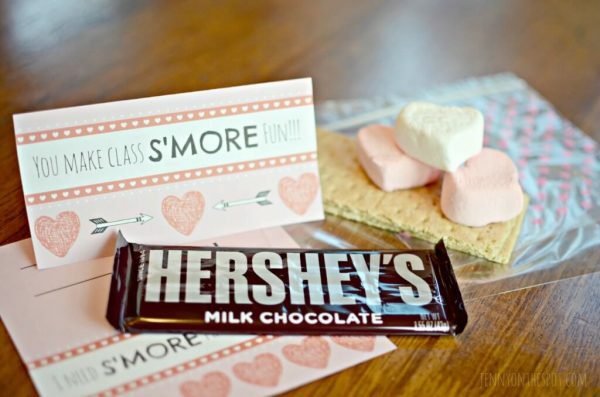 I love the S’mores idea! It’s extra cute with the heart shaped marshmallow. As an alternative, many of these involve non candy ideas if you are looking for something a little less sweet 🙂 . We even have Non Candy Valentine gift ideas! From bouncy balls to glow sticks, there are options included that do not have anything to do with candy! You can choose from lots of options sure to suit everyone. Some of these require card stock. You can certainly use regular paper but they won’t be as sturdy. There is a huge selection of card stock in many colors on Amazon. 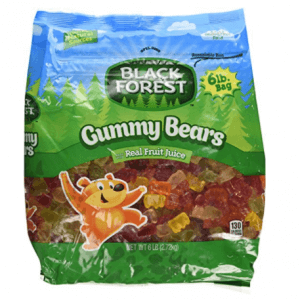 And if you need candy, you can buy the huge 5 lb bags of gummy bears and more candy on Amazon. Much better deal than buying the small bags at the store. We are always looking for ways to save money and it definitely helps getting a discount on the candy! 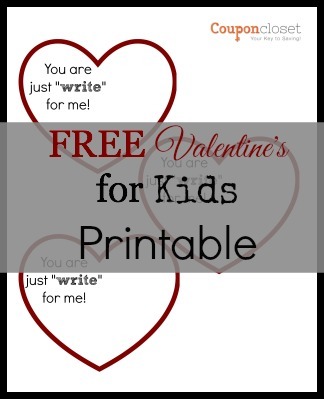 Let’s get started making Valentines cards for kids! 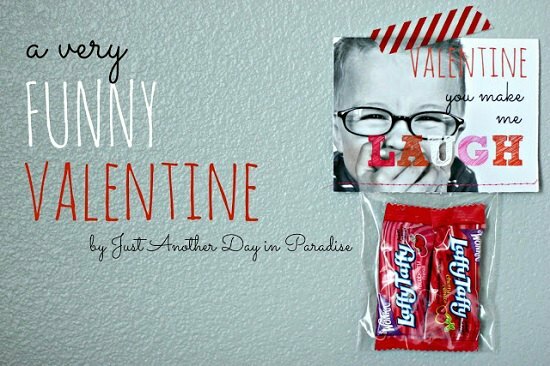 15 homemade Valentine cards for kids they will love! 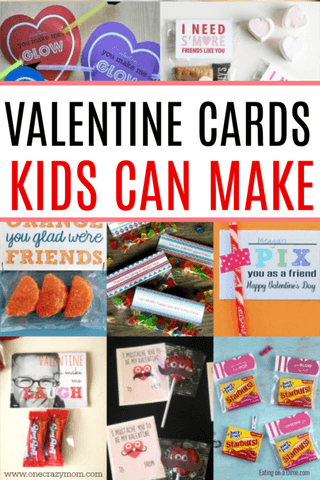 This easy Homemade Valentines for Kids is perfect for all ages. Choose from a heart or rectangle print out and let the kids sign their name. You can buy a large bag of Dum-Dum suckers on Amazon. 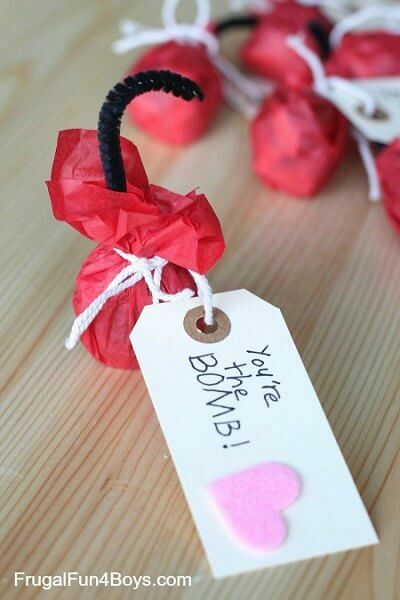 Use jolly rancher candy to make fun “bomb” valentines. 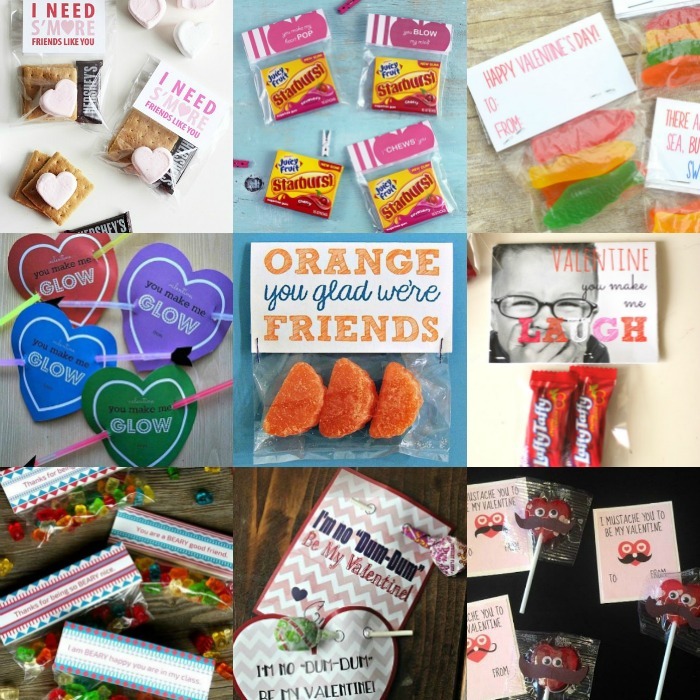 You can use an assortment of candy for this fun valentine. This free printable is so adorable. 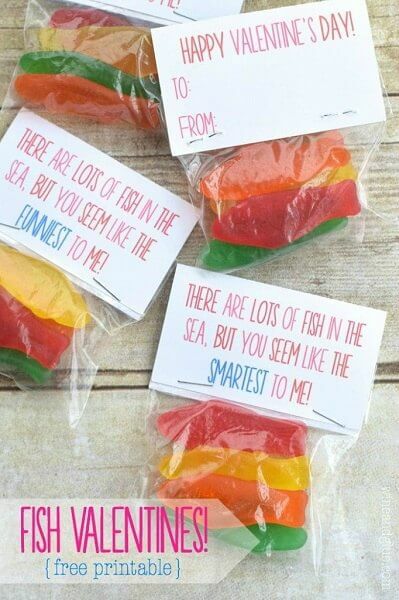 Use Swedish fish to complete this valentine. So fun! Grab some heart shaped marshmallows, chocolate and graham crackers to make S’mores bags for your friends. This idea is so adorable and the heart shaped marshmallows just make it so festive. 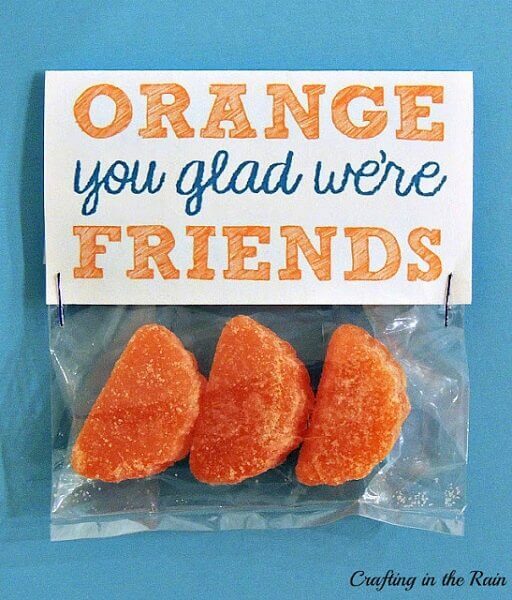 Pass out these fun Valentine’s with orange candy to your friends. They will be a hit and they are so adorable. This “I Chews You” printable is perfect for a pack of gum! You could also use individual gumballs if you prefer. If you’re looking for non candy ideas, this bouncy ball idea is such a cool idea. Kid’s love bouncy balls so it is sure to be a hit! 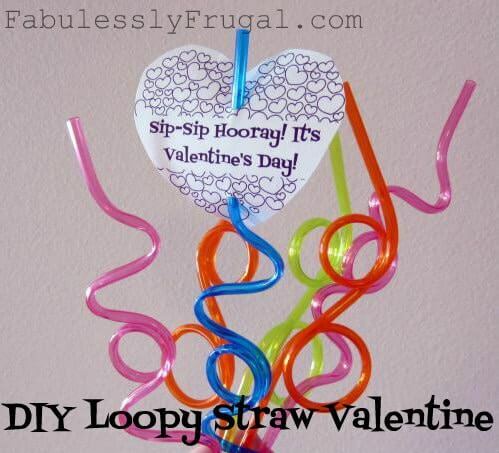 Grab some silly straws and make these DIY loopy valentines. Kid’s will love these fun straws. 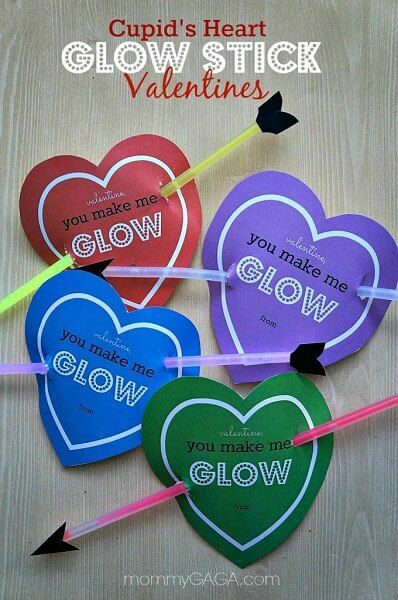 Kids will love getting a glow stick for Valentine’s Day. Such a fun idea and perfect for something different. 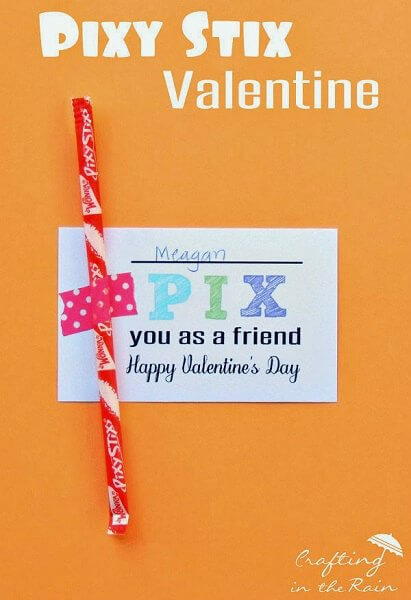 Tape a pixy stix to a valentine and get your child to sign their name. Such a clever idea and tasty too! 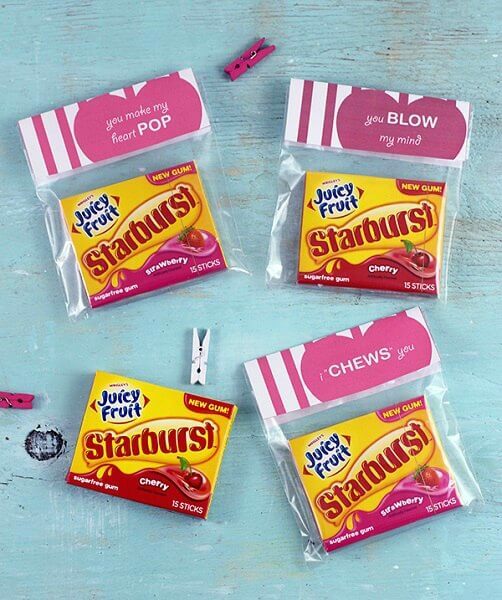 This idea uses laffy taffy and is such a cool idea with your child’s photo. I love this idea! 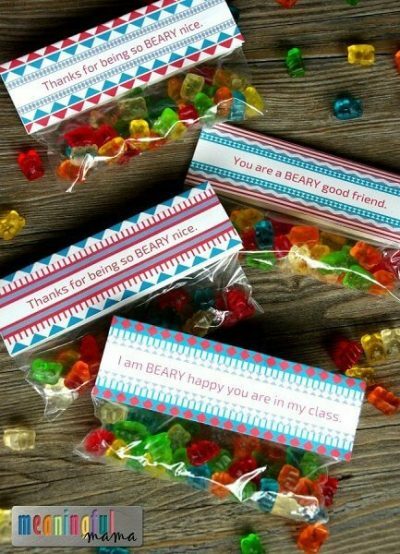 Each printable has various saying about “beary happy” or “beary glad” and come with a bag full of gummy bears. Yummy! Make a mustache for heart shaped suckers. Attach one of these printables for a really catchy valentine idea. This is so cute and everyone needs a pencil or pen. You could even include a marker or cool gel pen. There is a free printable or instructions for kids to make their own. So fun! Grab this free printable to make an adorable valentine. Include a few valentine stickers to hand out and you are set! There are so many cute homemade and easy kids Valentines Cards to choose from. Let us know which one you decide to make. They are all so cute it might be hard to choose! 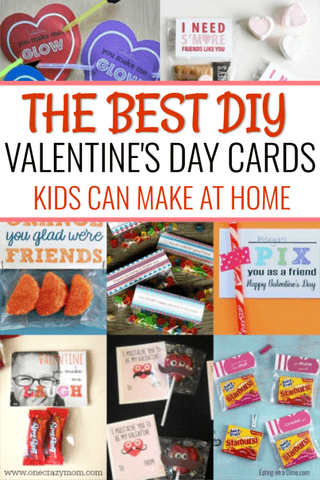 Gather the kids and let them help you make these fun valentine’s. 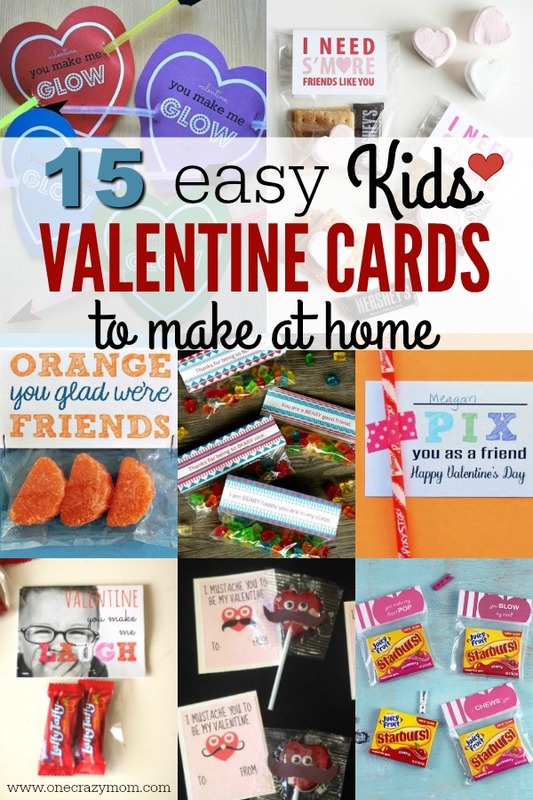 The lucky recipient will love getting one of these easy homemade Valentine’s for kids. Plus, you will make a ton of memories with your children creating these together. 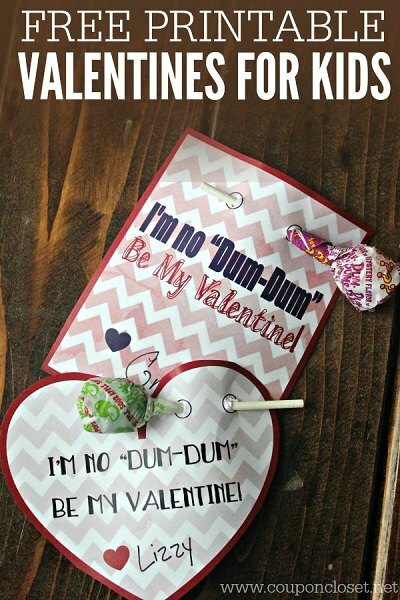 You will have a blast making class valentine gifts! The kids and I look forward to this time every year. We have a blast just hanging out together creating the perfect valentine. 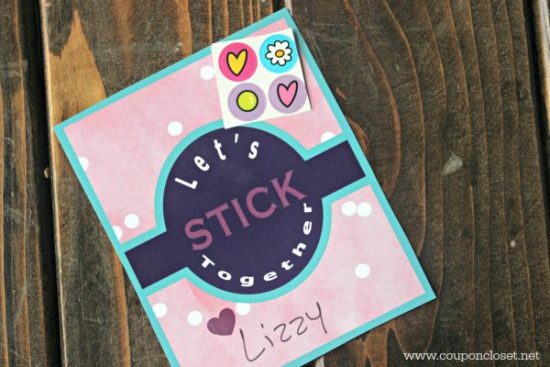 Each valentines day card we create is made with love and everyone loves getting a DIY valentine. 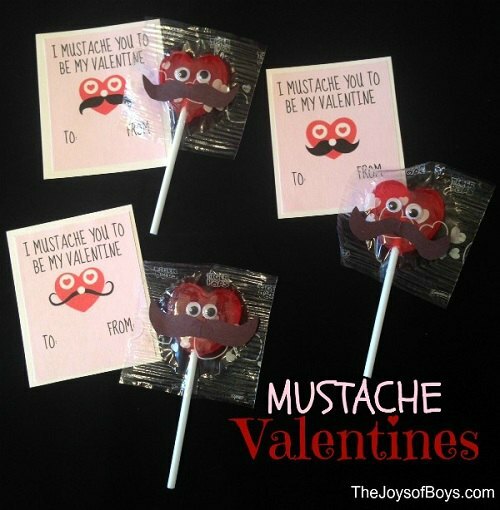 There are ideas for the perfect valentine for boys nd girls! 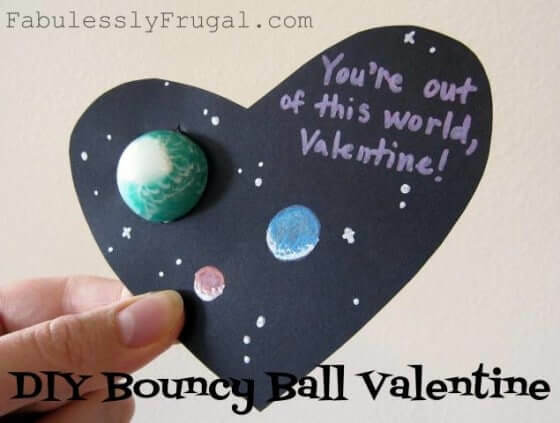 Many of these include a free printable making this such a fun and easy valentine art project. Each homemade valentine is super easy. If you have a great idea for a cute valentine, please leave a comment and let us know. From broken crayons to pom poms and shaving cream and paper plates, we are always thinking outside the box and using what we have. So fun! We always shop our house before hitting up the party store! We really love the non edible valentine ideas! If you are trying to cut back on sweets, give one of these valentine candy alternative ideas a try. They are especially great for valentines for kindergarten class and younger children. Plus, they are so fun that they won’t even miss the candy if you go the alternative route. Give these valentine gifts for classroom a try! Whatever you decide to make is sure to be a big hit! Kids of all ages love getting fun valentine’s. You might also want to make one for your child’s teacher. They will feel loved and appreciated.